Once upon a time… is how every Fairy Tale begins. But it is the endings that are the most significant. For the past few years, I’ve been reading and listening to people like Gregg Braden, Teal Swan, and Abraham-Hicks about the Universal laws of attraction. I have also been meeting people who have become certified Life Coaches – the new field of Positive Psychology. What do they all say? If you don’t like your life, create a new one! Figure out what you want and imagine what it feels like to already have it and believe you will get it! Because, you just might! In the meantime, your mind won’t know the difference. I’ve lived a crazy messed up life (moved 43 times) and kept wishing and hoping that it would get better, but I didn’t realize until recently that because I was focusing on how I felt in the midst of the messes, I shut out possibilities for happiness. I’ve since learned that wishing and hoping implies that what you want would maybe happen some day in the future which won’t work when you are trying to manifest something now. What the Life Coaches are all teaching is that you will manifest (attract) what you continuously focus on and that feelings are what bring into your life what you get. If you feel poor, you will continue to attract situations that will validate that you are poor. If you have self-love issues, you will continue to attract situations and partners into your life that will validate that you have low self-worth. Do you get the picture? Of course there are exceptions as accidents happen, but I won’t go into them here. I wrote two memoirs about what really happened in my life: "Appearances: A Journey of Self-Discovery" and "Love, Life, & God: Getting Past the Pain", but I decided to start writing fictitious fairy tales to create very different imaginary outcomes to some of those life experiences. I’d dream as big as I could and while writing it, stay connected to the way it feels as if I already have everything I could imagine. I’d begin to retrain my brain to only think possibilities and refuse to listen to old negative self-talk. Thus, I wrote a fairy tale of about 5,500 words – not enough for a book. But I already started to think big, and posted in a Writer’s Group on Facebook what other people thought about contributing stories for this project. And in thinking BIG, I got 35 initial responses. FAIRY TALE PROJECT was born. I could create an anthology just like Jack Canfield did with “Chicken Soup for the Soul”! Now that’s thinking BIG! 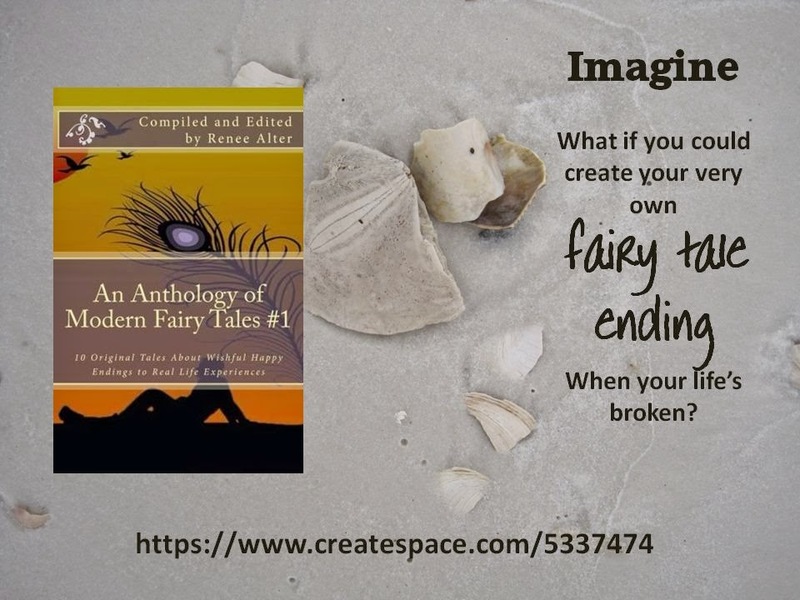 I was pleasantly surprised as to how many people loved this idea of writing their own fairy tales. With all the positive energy growing out of everyone’s excitement in this group, wonderful things for all of us are sure to begin manifesting!